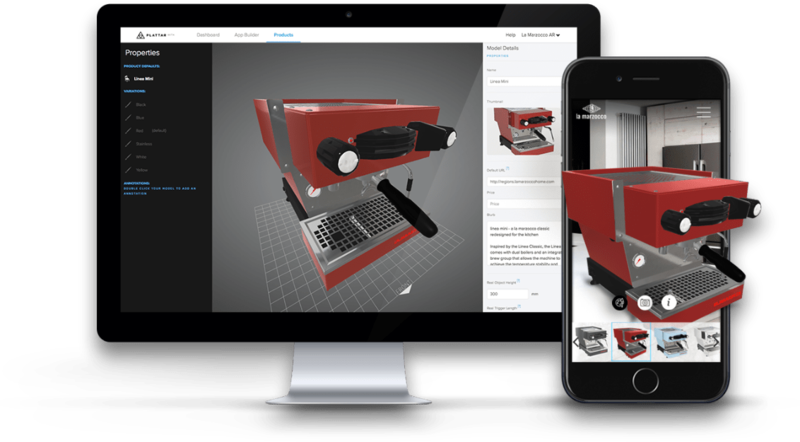 Curate and enrich your 3D content, then simply drag & drop to deploy. No coding skills needed. Engage & interact with products online. Photo realistic, 360 degree, interactive 3D viewer. Easily embedded on website and mobile web. Your branded iOS and Android apps distributed to Appstore and Google Play. Out of the box apps in your browser. Apple AR Quick Look and Chrome Canary WebXR available now. 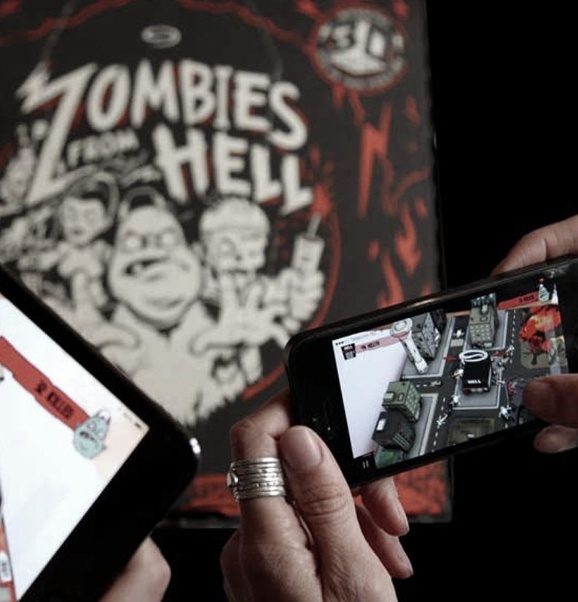 Rapidly create, customise and deploy your own Augmented Reality apps for iOS & Android. Stand-alone or in your own app with Plattar SDKs. Beautiful & simple. Best in class AR experience. Best practice app templates. Fully brandable and customisable. Supported app deployments. Reduce approval delays. Complete white label. Control any element in the user experience. Rich SDK. Embed Plattar AR in your own app. ARCore & ARKit ready. Up to date with Google and Apple’s AR. Out of the box content support. A CMS for digital teams. Reach more people, from the world’s leading mobile platforms. 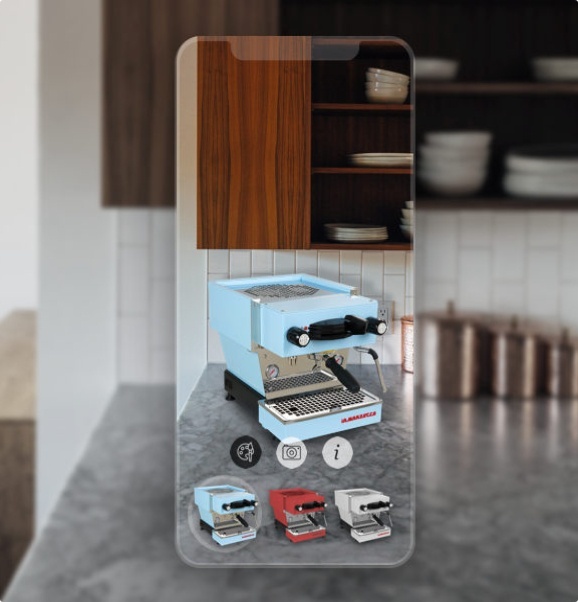 Be first to market with browser-based AR. Web ready. Apple Quicklook AR & Chrome WebXR out-of-the-box. Seamless user experience. No app required. Reach more people. Browser penetration growing daily. Built for reach & compatibility. On Apple ARKit & Google ARCore. Create once and publish anywhere. Through the Plattar CMS. Drag and drop. Simply update and maintain your 3D content. Embed interactive AR products into your website or storefront with a single line of code. Collections. Show all colour and texture variations. 360 spin & zoom. Show product from all angles and close up. Annotate products. With text, rich media or animations. Custom controls. API to control the viewer from within your website. Content Switching and Linking. Change between multiple scenes. Seamless & simple. View products from all angles on your mobile. 360 spin. Show product from all angles. Pinch and zoom. Show product details and finishes in close up. Environment overlay. Move & scale objects in the camera view. View in AR. Launch your AR app direct from the mobile browser. Curate and enrich your products, build and deploy interactive content and AR apps. Measure and manage the results.